MOSCOW, Russia -- Cash-strapped Ukraine is welcome to join the anti-crisis fund organised by ex-Soviet countries and apply for money, Russian Finance Minister Alexei Kudrin said on Thursday. The EVRAZES group of Russia, Kazakhstan, Belarus, Kyrgyzstan, Tajikistan and Uzbekistan have created a $10 billion fund to help them and their neighbours weather the global financial crisis. "I have today confirmed that ... all CIS countries are invited to join the EVRAZES anti-crisis fund, and that includes Ukraine," Kudrin told reporters after meeting with his CIS peers. "After that Ukraine will be able to receive money from that fund." He added that Ukraine was the only country in the CIS to experience problems with economic growth in the first quarter of the year. Ukraine's economy shrank 15 percent last year and its banking sector was rocked in 2008 after the hryvnia currency lost almost half of its value to the dollar, following a plunge in vital steel and chemical exports. Meanwhile, the International Monetary Fund is pressing Ukraine's government to justify its 2010 budget deficit estimate of 10 percent of gross domestic product (GDP) before it would be ready to resume a $16.4 billion bailout programme that was suspended last year. Prior to the creation of the EVRAZES fund, Russia - the holder of the world's third largest reserves worth around $440 billion - had helped out some of the friendly former Soviet republics such as Belarus with loans. But until recently, relations with Ukraine had been strained. The election of the pro-Russian Viktor Yanukovich as Ukrainian president in February, however, raised hopes in Moscow that ties could be rebuilt. 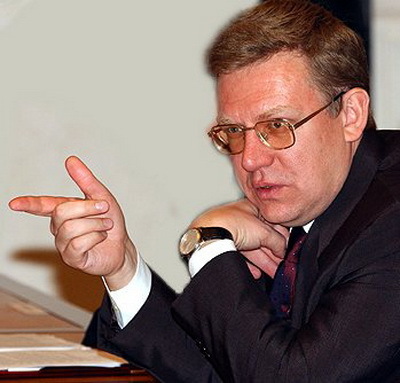 Kudrin also welcomed CIS countries placing their sovereign bonds and syndicated loans on the Russian debt market, taking advantage of its good liquidity. CIS finance ministers and central bankers also discussed the possibility of greater use of Russian rouble and other national currencies in bilateral trade and transactions. Their regulators are currently looking at ways of simplifying the process, including the publication of cross-rates for the currencies involved, Kudrin said. Most of Russia's trade with Belarus is already settled in Russian roubles, he added.